Free 2 Cute Ink Santa Hedgehog digital stamp over at the Kit and Clowder Coloring group + a Coupon for my 2 Cute Ink Etsy Shop! I am so excited to offer this fun freebie digi Santa Hedgehog via the kit and clowder coloring group! So make sure to ​click here to find out how to grab your free digi! 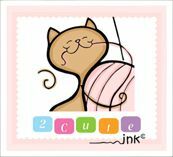 I am also running a sale in my etsy shop where you can Buy 3 Digital Stamps Get 3 Free :) click here to grab your coupon code! Have you Joined the Club Yet? Sign up for FREE this month!